This action-packed image features two Native Americans heading up a pack of wild horses that appear to be ready to leap off the canvas. 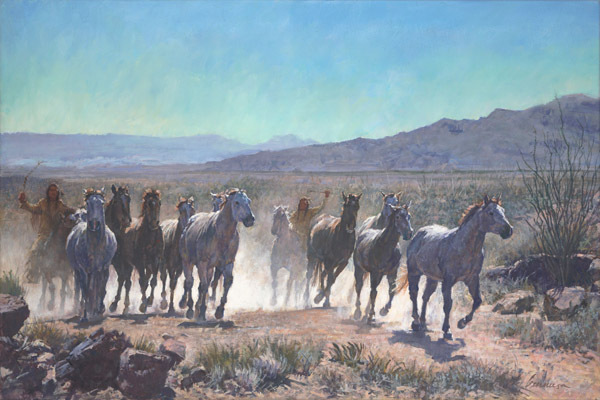 These braves leave a thick trail of dust behind them as they race the horses toward their camp. With such a large capture of horses, the men know they have brought a "Pay Day" back to their tribe.